Naoko Ikeda lives in Sapporo, Hokkaido in northern Japan, and is passionate about introducing the world to her country's essence through music. Influenced by classical music, jazz and pop, as well as the piano works of William Gillock, her own music reflects her diverse tastes with beauty, elegance, and humor. 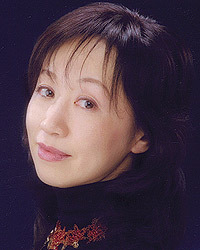 Ms. Ikeda holds a piano performance degree from Yamaguchi College of Arts in Japan and currently maintains an energetic schedule as both teacher and composer. Closer Look Add to Wish List Add to Cart This brief, beautiful collection was inspired by flowers that bloom in late spring and early summer. Miyabi is a Japanese aesthetic meaning “elegant” or “refined.” Ikeda interweaves traditional Japanese modes with thoroughly modern harmonies throughout, resulting in a set of pieces that may be performed as a suite, or individually. Closer Look Add to Wish List Add to Cart Ikeda spent 3 years composing Duets in Color, a set of 24 vibrant, elegant piano duets in major and minor keys. The duets are divided into two volumes (Book 1 duets are all in major keys; Book 2 in minor), and pianists are encouraged to play them in pairs as well as separately. The parts are balanced beautifully; both inner and outer voices sing with clarity, and unexpected rhythmic and tonal surprises abound. Both volumes are a joy to play! Closer Look Add to Wish List Add to Cart Ikeda spent 3 years composing Duets in Color, a set of 24 vibrant, elegant piano duets in major and minor keys. The duets are divided into two volumes (Book 1 are all in major keys; Book 2 in minor), and pianists are encouraged to play them in pairs as well as separately. The parts are balanced beautifully, both inner and outer voices sing with clarity, and unexpected rhythmic and tonal surprises abound. Both volumes are a joy to play! Closer Look Add to Wish List Add to Cart Students will love the imagery of Naoko Ikeda's compositions, from the exotic “Habanera” and “Moon Flute” to the fun of “Beachside Step.” All of the solos have her trademark Japanese perspective and great opportunities for interpretive instruction to make them truly unique. A wonderful addition to both teacher and student libraries. **Update: Naoko added performance notes and a poem in the latest edition (Feb 2015). Closer Look Add to Wish List Add to Cart Two graceful companion pieces depicting an imagined romance between the moon and the sea. Discerning use of rubato, arpeggiated chords, and unexpected harmonic changes make these pieces especially evocative. Closer Look Add to Wish List Add to Cart Wandering through museums is one of composer Naoko Ikeda's favorite pastimes. This intriguing piano solo collection was inspired by multiple visits to museums around the world and is her homage to her favorite art masterpieces, including Rousseau's “The Sleeping Gypsy,” Degas' “Class de danse,” van Gogh's “The Starry Night” and Paul Klee's “New Harmony.” Titles: Valse Innocent • The Jungle • Danse en rose • Nocturne of the Stars • Joyful Love • Dreamy Hues. Closer Look Add to Wish List Add to Cart A beautiful, tender piece. Look for unexpected harmonic surprises, much like snowflakes in springtime. Key: F Major. Closer Look Add to Wish List Add to Cart Shoukei – Book 2 contains six pieces contrasting the excitement of gift-giving in “Birthday Present” and “Ribbon” with the peaceful expression of “Misty Rain” and the flowing journey of “Barcarolle.” The pieces create beautiful atmospheres so students can learn to balance sound, play with imagery, and enjoy making music. Closer Look Add to Wish List Add to Cart Naoko Ikeda's Seasonal Scenes at the Piano comprise of five descriptive pieces, one for each season, plus a special “Prelude Perennial” which can be played at at any time of the year. Each piece represents a short animated story; all are wonderful teaching pieces. Titles: Velvet Winter • Spring Breeze • Waiting for Summer • March of the Jack-o-Lanterns. Closer Look Add to Wish List Add to Cart Written especially for students with dramatic inclinations! The piece begins with an ethereal atmosphere and briefly blossoms into a passionate solo before returning to its dreamlike start. Key: D Minor. Closer Look Add to Wish List Add to Cart An enchanting, playful waltz in A Major, with an unexpected mid-section in C Major. Teaching concepts may include pedaling, LH jumps and triads, and long phrases. Closer Look Add to Wish List Add to Cart Dance of the Unicorn is a light, graceful solo with a beautiful, singable melody. In C Major, with frequent harmonic shifts. Closer Look Add to Wish List Add to Cart Five soulful solos that were “inspired by the northern sky, and in particular the Scandinavian landscapes of my own imagination,” writes Naoko Ikeda. Introspective pieces, yet full of warmth. Titles: Flora • Ethereal Summer • Land of the Midnight Sun • Aurora • A Sea of Clouds. Includes performance notes. Closer Look Add to Wish List Add to Cart Enter an enchanted musical world with these 6 wonderful, lyrical pieces written especially for the elementary student. All but the final piece feature excellent teacher accompaniments. Each comes with short, imaginative descriptions. Titles: Castle in the Clouds • The Enchanted Kingdom • Floating Flowers • The Playful Unicorn • Royal Waltz • The Wizard's Wand. Closer Look Add to Wish List Add to Cart A soft, bluesy atmosphere is the inspiration for “Foggy Blues,” which reflects the composer's love of the American art form. Mellow, inviting, and incredibly satisfying to play! Add to Wish List Add to Cart Letter in the Sky is highly unique, in that it functions as two separate solos (both Primo and Secondo), but when played together becomes a very beautiful duet suitable for elementary level students. Ikeda suggests that the teacher question the players before they perform: “What kind of letter would you write to the sky?” Key: C Major. Closer Look Add to Wish List Add to Cart A charming piece about a miniature marching band that lives inside a magical clock. The steady beat encourages both rhythmic and imaginative playing. Key: C Major. Closer Look Add to Wish List Add to Cart Mischievous hand-crossings and carefully notated articulations infuse this playful piece in triple meter. Key: E Minor. Closer Look Add to Wish List Add to Cart Manhattan Swing was inspired by thoughts and enthusiasm for an upcoming visit to the Big Apple, and was premiered by the composer at MTNA 2012. It is joyful, catchy and optimistic, with just the right amount of jazzy harmonic and rhythmic interest! Key: C Major.